Just a quick blog post for you today because, well, I’m busy! I don’t know about you but, my schedule has been super jam-packed since the start of the year. Which, is really a good thing. Intellectually I know this. But, I’m starting to feel a little crazed. I find myself double-booked, forgetful of minor details, and, have the general feeling that a ball is about to be dropped. By me! It’s a very uncomfortable feeling. I value control, order, organization. This certain chaos – not my happy place at all! So, what should I do to manage my workload? My initial reaction is to move things around, push deadlines out and re-negotiate for additional time. Makes sense, right? I guess so. But, lingering doubt is setting in. How will moving things around help me and my psyche? The work is still there, looming on the horizon, arms crossed and impatiently tapping its feet. How am I going to be any good to anyone in my present state of chaos? I decided to shift personal tactics and, schedule a weekend away. What?! Yes, I went on a mini-vacation with my high school girlfriends. They don’t know this but, I almost cancelled out (see “double-booked”, “impatiently tapping feet”). I’m so glad I didn’t! We escaped to the sunshine and sand, laughed, reminisced, danced, and made some new memories. I didn’t realize how much I needed the time until I was there. Just removing myself from my busy schedule helped me regain focus, clarity and re-energized my spirit. A few years ago, I would have never done this. I would have slugged my way through my schedule trusting that there would be a light at the end of the tunnel. I’m so glad I took a different approach. The work is still there, nothing has changed on that front. What has changed is me. I have a renewed and refreshed outlook. I’m the light at the end of the tunnel. Prioritizing myself feels infinitely better than slugging away. If you are interested in exploring self-management through coaching, we should talk. Please contact Heather Wood at heather.wood@mcgpartners.com. MCG Partners is a Greater Boston-based consultancy specializing in executive coaching, leadership development, talent management, organizational effectiveness, and management training solutions. MCG Partners is also a Predictive Index® (PI®) certified partner. 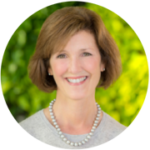 Heather Wood is Vice President, leadership developer & facilitator, and executive coach with MCG Partners. With more than 20 years of experience in engaging all levels of leadership across multiple business sectors, Heather draws from her experience and insight training hundreds of managers globally. Heather coach’s executives in leadership strategy, communication style, team building, performance management, conflict resolution and career development. Heather is also an accomplished designer and facilitator of customized interactive management workshops.